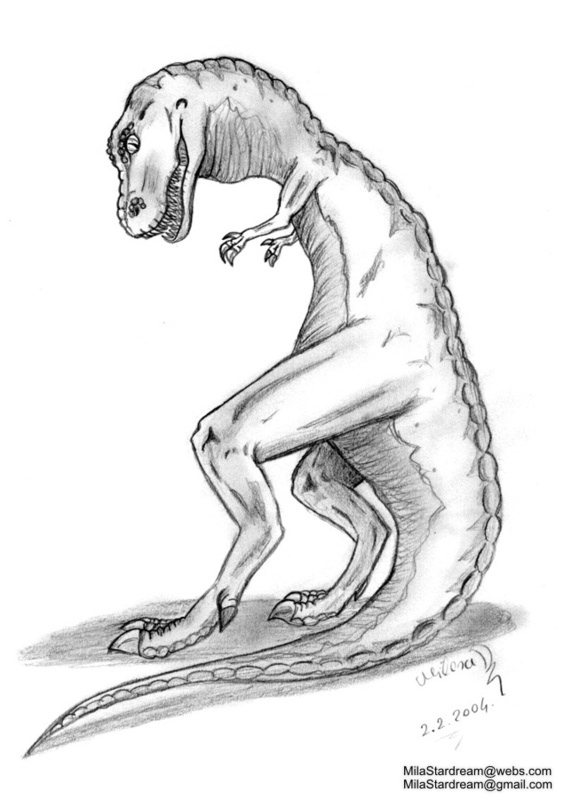 An old drawing of a Tyrannosaurus. For some reason, I drew his toe on the outside of his leg. Done in February 2004.